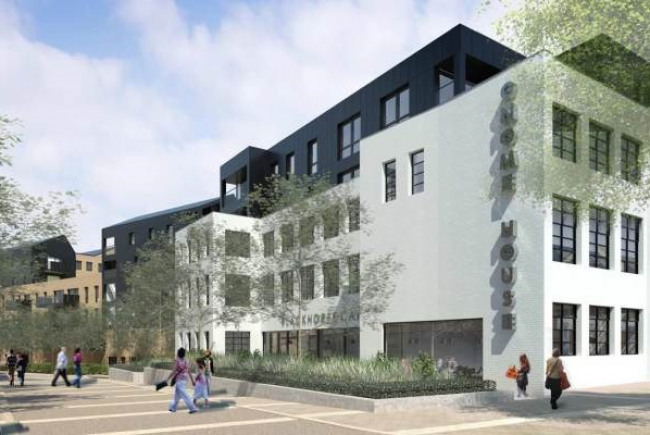 Gnome House is an exciting new creative space which will revitalise Blackhorse Lane. We are seeking funding to equip the building's performance, exhibition and workshop area. Gnome House is a beautiful art deco building in the Blackhorse Lane regeneration area of Walthamstow. The ground floor space will include a café, meeting room and large performance, exhibition and workshop space as well as a printmaking workshop and artists’ studios. The performance, exhibition and workshop space and meeting room will be available for public hire, with substantial discounts granted to community organisations. Gnome House is poised to become an artistic hub in a previously neglected area of Walthamstow, nurturing local talent and providing a unique opportunity for members of the local community to experience local art and develop new skills. The funding we are seeking will allow us to provide the best possible experience for our users and in turn ensure that Gnome House gives people another reason to visit Blackhorse Lane. The refurbishment is currently underway and is due to be completed in early 2015. .
Monitor and evaluate the activities at Gnome House and users of the equipment in the short, medium and long term. • offers a programme of artistic learning opportunities that are accessible, relevant, engaging and of a high quality. Making Gnome House an attractive venue for high level artistic activity and community engagement will reinforce Blackhorse Lane's emergence as a Neighbourhood Centre, as outlined in the Blackhorse Lane Area Action Plan. Monitor and evaluate equipment usage post installation to report to funders and the community. Work in partnership with the building contractor to finalise equipment specifications and installation timeline. The equipment will only be for the hireable spaces in Gnome House. The cafe and printmaking studio run by Inky Cuttlefish will be responsible for equipping their spaces independently over and above any fit-out provided by the developer. Macdonald Egan, the developers, who have a representative on the Gnome House Community Asset CIC Board of Directors and with Waltham Forest Council's Regeneration Team. Both organisations have pledged in kind and cash contributions to the purchase of signage and equipment for the space. We are also submitting a bid to Arts Council England for £40,000 for which we need about 50% funds secured from other sources in cash and in kind to stand a good chance of success. Gnome House is based in a newly renovated art deco building. Gnome House will be an inspiring community and creative space in Walthamstow, East London. Its vision is to transform the local community by offering high quality cultural programming that is accessible, relevant and engaging. It will include an open access printmaking studio, artists’ studios, a meeting room, a cafe and a large community/creative space which will be available for hire. This community/creative space will be able to accommodate performances, rehearsals, workshops, exhibitions and meetings. Gnome House will be independent with sustainable sources of income. It will be run by a Community Interest Company with (volunteer) Directors who live and work in and around Blackhorse Lane and have many years’ experience delivering community and creative projects locally. Project Delivery Manager: Gnome House Community Asset CIC The Project Delivery Manager takes legal responsibility for receiving and spending the funds raised and ensuring the project is delivered. Contractor: Brian Power Building Ltd The team responsible for building or installing the project.